Any ol' Super Bowl party can have chips and dip, or a deluxe ultra Barcalounger with built-in footstool, surround-sound system and Kegerator. 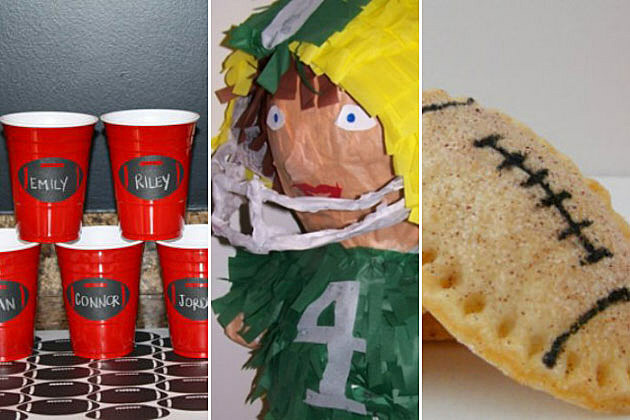 If you want to throw a truly one-of-a-kind gridiron gala, leave it to the crafty ones over at Etsy.com, who have designed the following 10 truly unique party favors. 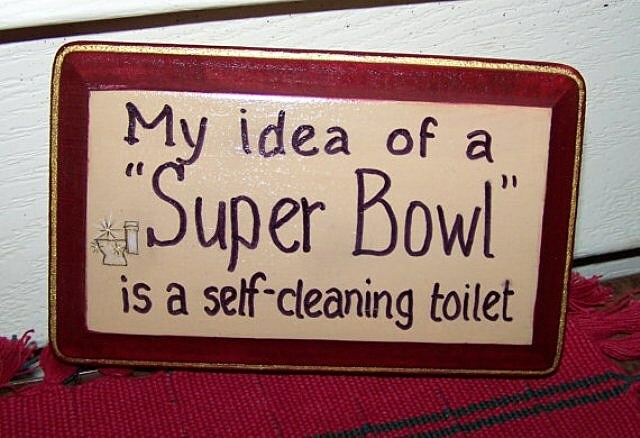 Super Bowl parties — who says they're just for the 99%? 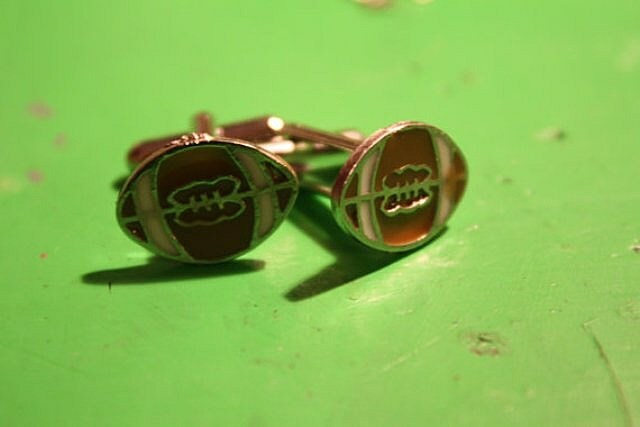 For those planning to “get jiggy wit it” (yes, Moneybags, that's how the kids say it) this Sunday aboard a Super PAC-funded yacht, declare your pigskin pride the way you normally reveal your tax returns (discreetly, that is) with this snazzy pair of football cufflinks. When the game gets close, someone at your shindig is sure to take out his frustrations by biting down on their own hand, that throw pillow your Grammy crocheted you, or perhaps even the leather upholstery on your brand-new sectional. 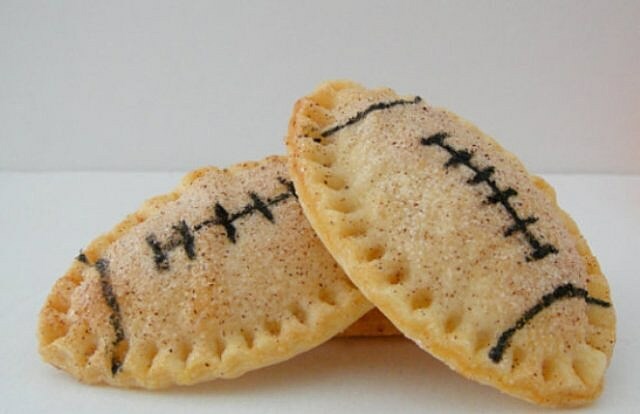 Keep these football-shaped tarts handy in case of just such an emergency. 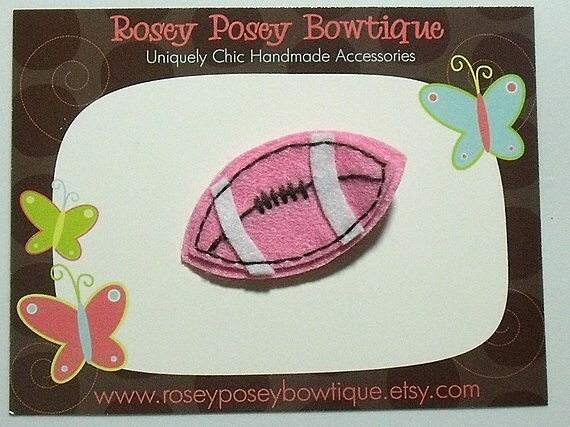 They're like teething rings for football fanatics! 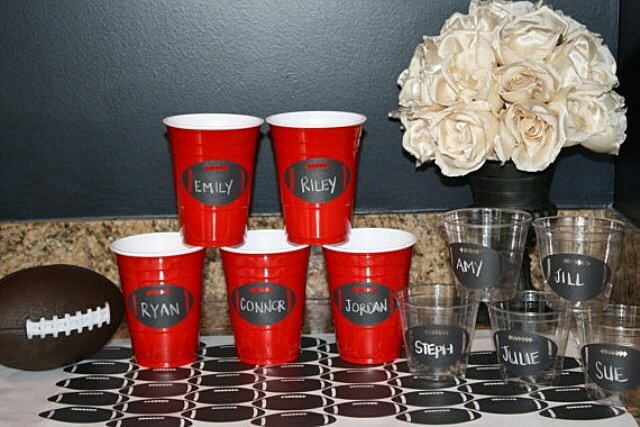 Wineglass charms may do the trick at your finer affairs, but when throwing a Super Bowl beerfest, how is everybody supposed to tell one suds-stinky Solo cup from another? These chalkboard-like labels are sure to avoid a drunken brawl between a thirsty partygoer or two, especially if the game goes to sudden death. 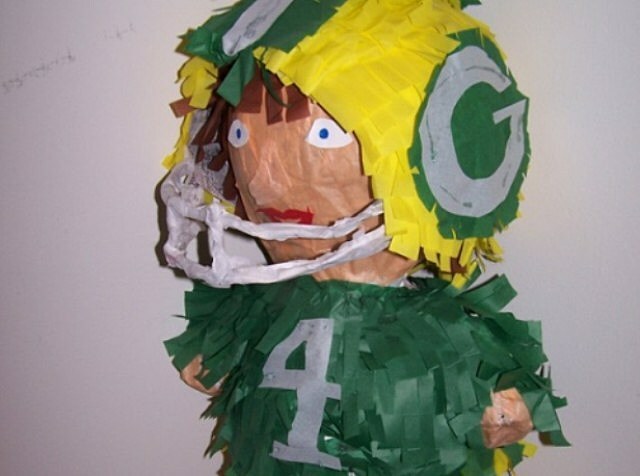 Pummel your opponent, both metaphorically and sophomorically, with a handmade pinata fashioned after your most hated rival. Like, say, Tom Brady or your neighbor who keeps bragging about his new Mercedes. Just kidding! We'd never do that our neighbor. Don't just watch the game: Smell the game. 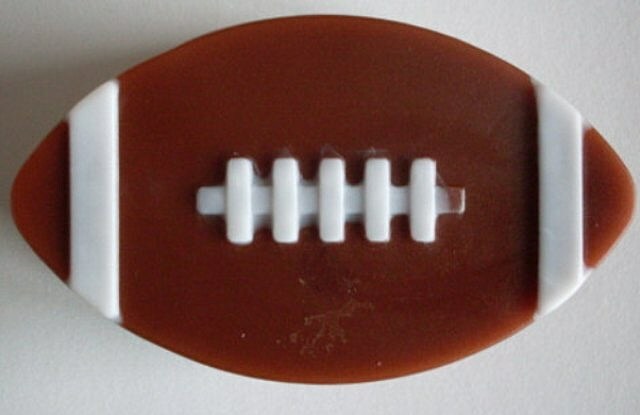 Encourage your guests to wash some pigskin stank onto their hands at halftime. You'll not only egg along their QB fantasies, but you'll make post-party clean-up that much easier on yourself. These party invites, designed to look like actual Super Bowl tickets, are a clever trompe l'oeil. Just be prepared for the inevitable screaming phone call from that one idiot friend of yours who actually thought you were gifting him a real ticket to the Super Bowl. He'll probably demand that you cover his bus fare home from Indianapolis. No Super Bowl party is complete without that nagging, football-widow wife, the one who refuses to watch the actual game because she's too busy watching the glass-topped coffee table for stains. Even if you're not her, it can never hurt to remind your binge-eating, beer-swilling guests that your pristine bathroom is not a Porta-Potty. Party hosts, don't worry about exiling smokers out the door, even in sub-zero temperatures. 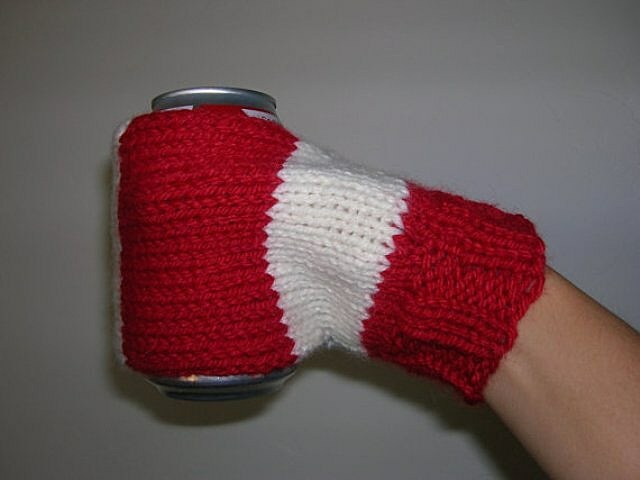 Just hand them one of those hand-knitted beer koozies so they can have their cig and drink their beer, too. 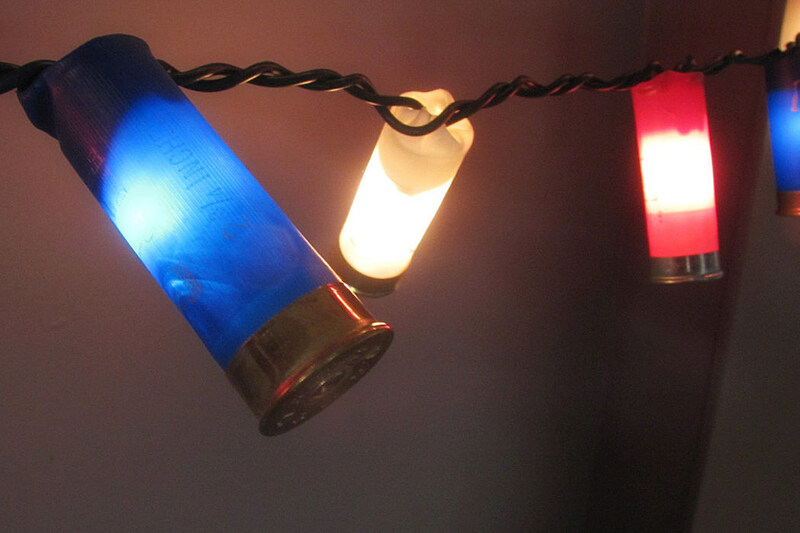 To decorate your Super Bowl space, here's a string of red, white and blue lights made from upcycled, used shotgun shells. Are these lights pro-Giants? Pro-Patriots? Pro-NRA? Pro-America? Before you and your guests can peacefully agree, someone's bound to call the cops on you and your party will be broken up.